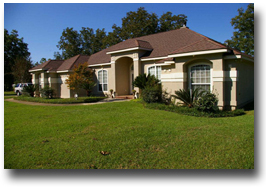 Already own a home in the Barnwell subdivision? Thinking of selling? Click here and read about current search trends & our web network. Barnwell of Fairhope is a rural area located approximately 3 miles East of Mobile Bay and under 2 miles from Weeks Bay to the Northwest. Barnwell is a secluded area outside of downtown Fairhope, AL and close to the Gulf Coast's favorite places such as: Gulf Shores, AL and Pensacola, FL. If you are looking for a home with some privacy and close to numerous larger local areas just outside of one of the most popular places to live in America, Barnwell could be for you. If you need further info, have questions or would like to schedule a viewing for any of the homes for sale in Barnwell or any other properties in the area, please email info@condoinvestment.com or call (251) Area-Pro (251-273-2776) for immediate assistance.